Southampton Philharmonic Choir are delighted to offer members and non-members alike the opportunity to take part in a workshop with the acclaimed vocal ensemble VOCES8 on 20 October 2018. Places are limited, so booking is essential. 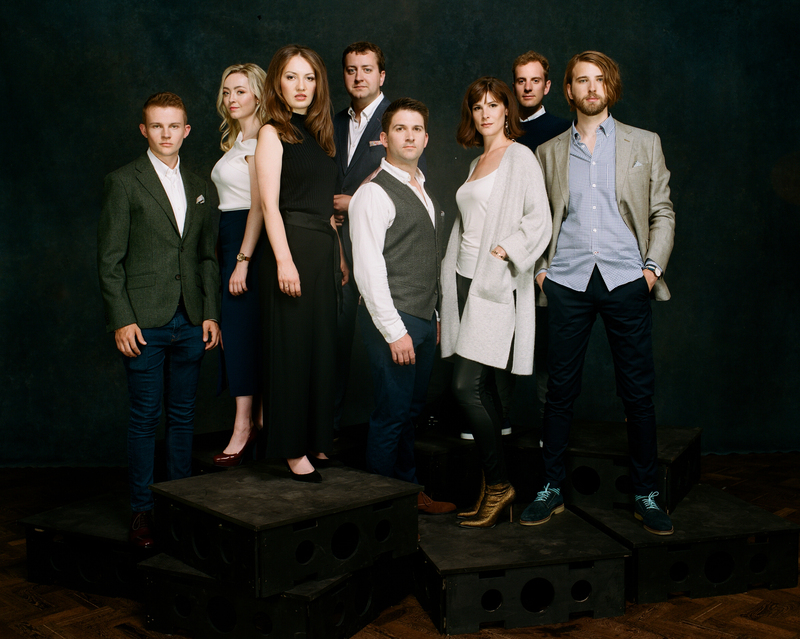 The evening offers the chance to hear VOCES8 in concert at the same venue (read more here). This British vocal ensemble is passionate about music education and is the "flagship" ensemble of the music charity, VCM Foundation. Touring globally, VOCES8 performs an extensive repertoire both in a cappella concerts and in collaborations with leading orchestras, conductors and soloists. With an on-going programme of recordings, videos and live broadcasts, VOCES8 is heard regularly on international television and radio. The ensemble is a Decca Classics artist and has released acclaimed recordings that have all reached the top of the classical charts. A new album is planned for 2019. Morning session: 11.00am to 1.00pm, with a tea break. The workshop ends at 4.25pm. Participants will spend the morning session working with Paul Smith, who is the co-founder of VOCES8 and CEO of the VCM Foundation. After some warm-up exercises and ensemble activities, you'll learn some pieces by ear, with a focus on blend and ensemble. After lunch (please bring a packed lunch as lunches are not provided), participants will meet VOCES8 in the theatre before splitting into four groups, each led by two members of VOCES8. When you book, you will state your preference from Madrigal/part-songs, European sacred music, Contemporary classical, and Pop and jazz. For the end of the afternoon session, everyone will re-assemble in the Dobson Theatre for a showcase finale, with each group performing one of the pieces they have worked on. Please note that this event is geared toward singers with at least a basic ability to read music, because of the afternoon sessions. Applicants under the age of 18 must be accompanied by a responsible adult. Book your place on the workshop here.